Do you love winter ? watching them in their races. I used mini Ice Tilda ( Sweet Christmas Dream Col.2011). I made these flowers on my own. decorative pink brads from ScrapBerry's. ¨The ribbons are from Anita's Everyday Ribbons. A beautiful card with lovely soft colours and excellent use of the diecuts. The flowers are gorgeous! Thank you for sharing it with us at Stamping Sensations. 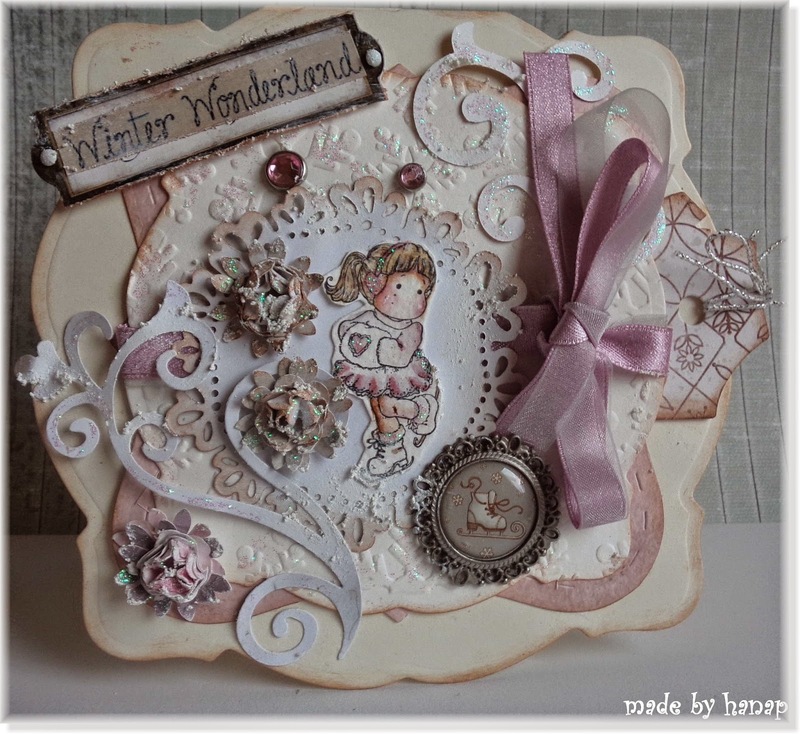 Totally delightful work Hana, thank you so much for sharing your creativity with us at Stamping Sensations challenge. Beautiful card love the lush colours & the Magnolia image & I lurve that skate button. 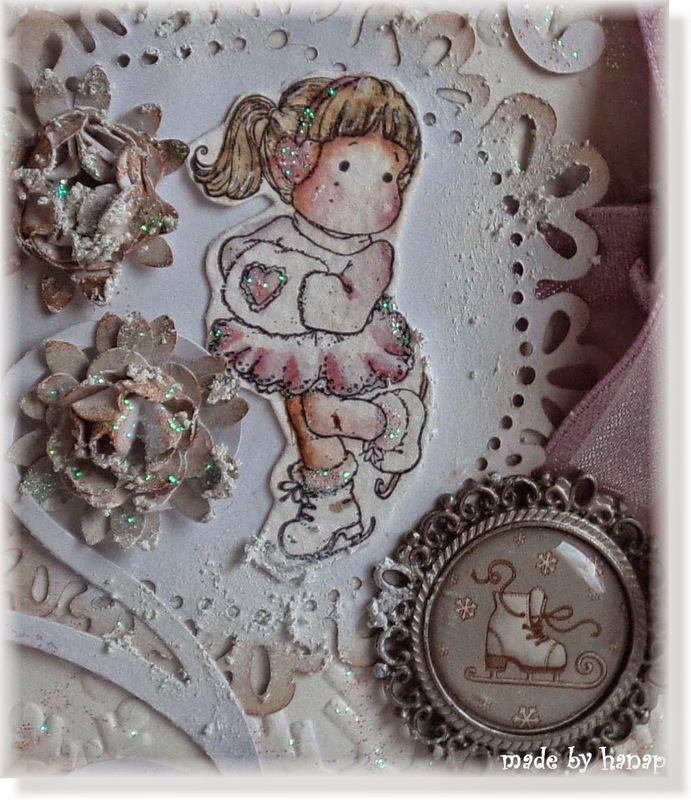 Gorgeous card; such pretty colours and embellishments, especially the skate button. A bit late, sorry, but thanks for joining LLC for our winter sports challenge.